The place where my inn is located is very cold. Because the area where my inn is located is located in the middle of the cold air from the north flowing into Kyoto city. Unlike in a city hotel, my inn is a wooden building so even if you use air conditioners you can not spend a short sleeve in the room. 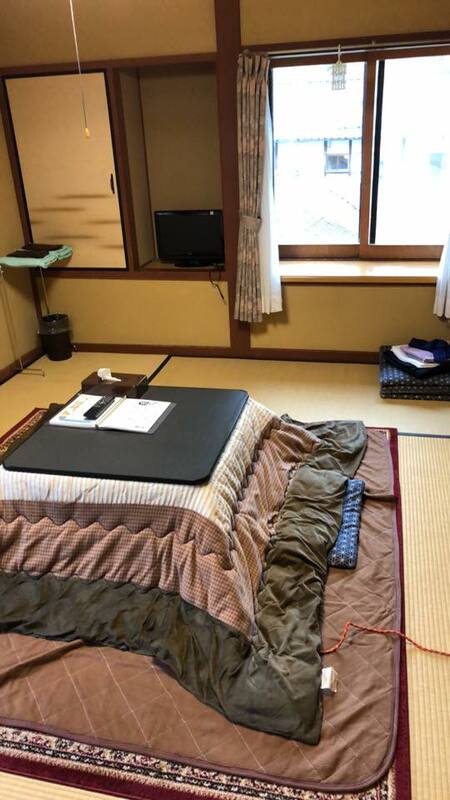 So I am putting “Kotatsu” of Japanese traditional heating equipment in my room in my room. Since ancient times everyone in Japan talks with their families while taking warmth with a kotatsu. Please experience the old culture of Japan. There is an additional heating appliance, so if you wish, please order to the staff. Please use the futon in the closet freely. Still winter Ohara is cold.